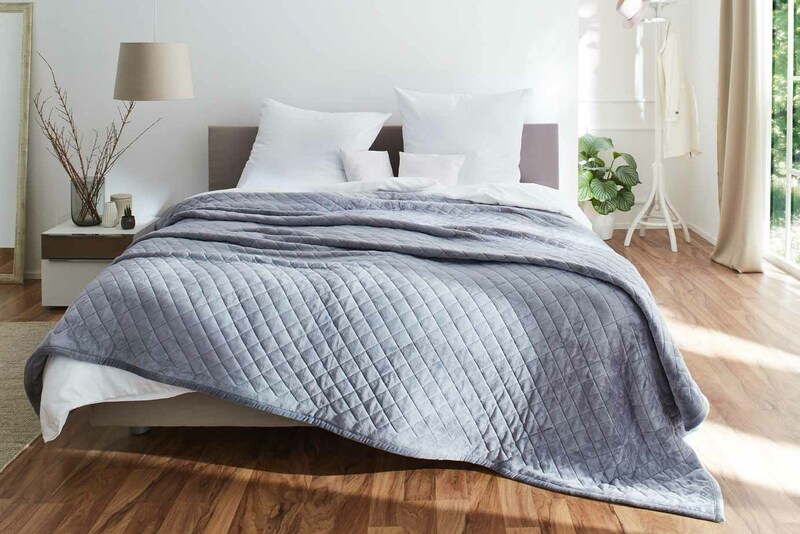 This decorative polyester blanket will enrich any bedroom. The sophisticated quilting on the front and back side makes it a cosy must-have, not only on cool days. As with modern winter clothing, it allows optimal air circulation thanks to the numerous checks lying on top of each other, so that you can always relax in comfort. This home accessory is easy to clean and suitable for tumble drying. You can use it either as a fashionable blanket or as a cosy throw. It measures 220 cm x 260 cm and is available in cream, berry, taupe, silver and anthracite.